When I first wrote the tagline for this website, “living life, discovering how to do that better, sharing it here”, I had so many ideas about what that possibly could mean–health, exercise, personal growth, spiritual growth, getting unstuck, tapping into creativity, learning, creating abundance, cleansing and purifying, financial freedom, being who you are–all of the things I have been learning about and practicing over the years. But in being so broad with what I thought this could be about, I actually limited myself and got stuck in wondering, what is my purpose? Why am I here? What do I have to offer? Through the process of doing what I say this website is about–living, learning, sharing–I am also learning about my purpose and refining my own meaning with each article that I write. I came to a very simple answer today: I want you to be happy. My purpose is simple: I. want. YOU. to. be. HAPPY. And so I share my journey, my lessons, and my own “secrets” for happiness. You can laugh at my mishaps (see “My Messy Life”), ponder with me the process (see “The River”), find insight with some of the tools I offer (see “In the Turbulence of Life Listen & Wait”), and hopefully find something useful as you search for and discover your own happiness. The precursor to this new refinement of the purpose of this website, of my own purpose really, was that I woke up one morning and felt HAPPY. Not only did I feel happy, but I looked back over the past few years of my life and realized that I knew HOW to CREATE happiness for myself. Let me be clear: this was not just a moment of waking up and just feeling good (although it was also that). It was not a moment of looking at all the good things in my life and being thankful (although it was also that). It was not a just moment of being proud of how far I’ve come and how much I’ve accomplished (although it was even also that). It was a moment of deep, deep, satisfaction that rippled out infinitely as JOY. It was so peaceful and real that I want to share it with everyone. I want you to be happy, so deeply happy that your peace is unshakable, your joy is overflowing, and all you want is for everyone to know the joy you know. There is an intellectual understanding of this feeling. People can read words and think about what they mean and say, “Yeah, that sounds really nice”. But then, there is the experience, really feeling the experience–feeling it so deeply there is no thought, there is just a KNOWING. That is what I want for you. That is what I want for me too because I had that moment of experiencing/knowing/feeling that depth of happiness. It lasted maybe 30 minutes and then it was gone. I haven’t felt it again., I can feel it waiting; I can feel it there, and I know I have it, I know that I KNOW. I know what it feels like, and I know I can do things to cultivate it. 1) Accepting and cultivating the divine (the holiness) within myself and others. This is often summed up in the use of the word, “NAMASTE”. It means, “I honor the divine within you”. So I think about that; I work at really seeing “the divine” and I work at learning what it means on deeper and deeper levels. 3) Unity of Will, of Purpose, of Life. Bob Marley said it succinctly, “One Love”. Unity matters. Love matters. Separation keeps us alienated, untrusting, and fearful. I work every day at improving my understanding of the integration of every person, every soul into One Love. There you have it, my goals. My goals are not your goals. But I am here to encourage your goals, your purpose, and your highest vision of life. I am here to encourage the deepest part of your Self that KNOWS and that knows how you will cultivate your own happiness. The purpose of goals is happiness–my happiness and your happiness. You are essential for me to achieve my goals, and I am essential for you to achieve yours. Love must extend itself. 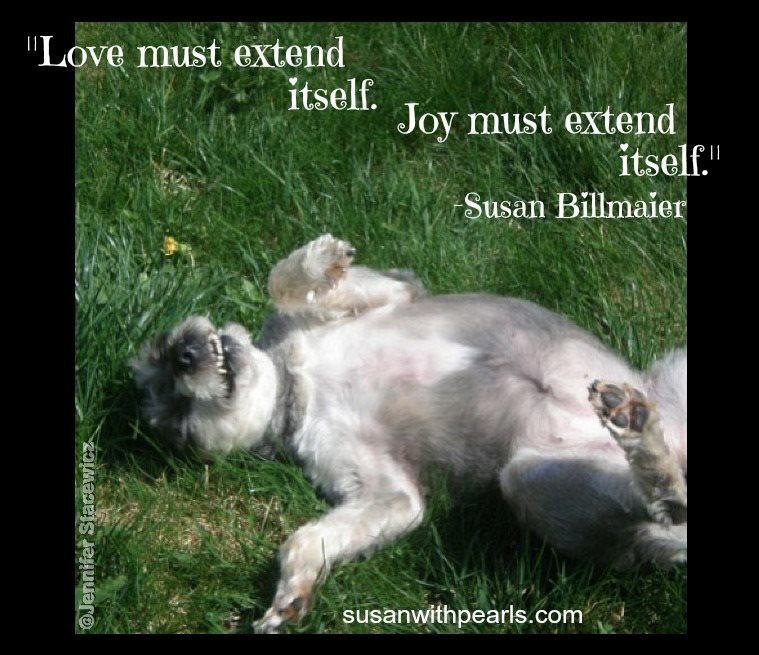 Joy must extend itself. As love and joy expand, reaching out, rippling, touching others, peace settles in and the quality of happiness becomes so certain and definite that it becomes a goal of itself (but the secret is that happiness is unified with [not separate from] purpose). I want you to feel this happiness, to experience it, to Know it. I want you to be deeply happy. My world just opened up. I’ve now entered happiness at the ground floor. Join with me to build our infinite skyscraper.